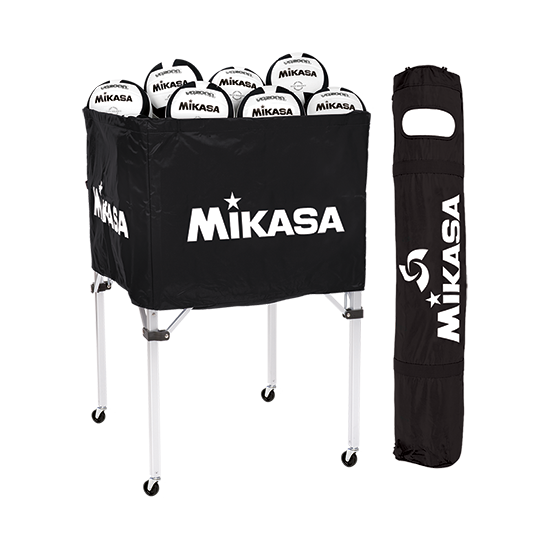 BCSPSH Series - Mikasa Sports USA Classic collapsible ball cart. Sturdy, aluminum alloy frame holds up to 24 balls. Includes a matching carrying bag with adjustable shoulder strap.